In the wake of the struggles of the prison and while waiting for Daryl’s group to return with medicine, Rick and Carol get prepared to go on a run for food. Carol reveals that she acted on her own to try and eliminate the threat of the virus spreading. When they get to a neighborhood, they come across a house to start raiding. After taking out a walker, they encounter a man and woman hiding in the upstairs bedroom. Carol helps to set Sam’s dislocated ankle and learn about their story. Rick chooses to ask them his infamous three questions to determine if they are worthy to bring back to the prison. In order to sweep the neighborhood faster, Rick gives the couple guns and a watch to stay safe. Rick and Carol end up talking about her decision to kill the two infected with the flu and about their relationships when they come across the girl torn apart by walkers. Sam ends up running late, which gives Rick more time to confront Carol. He essentially tells Carol that she is not allowed to come back. 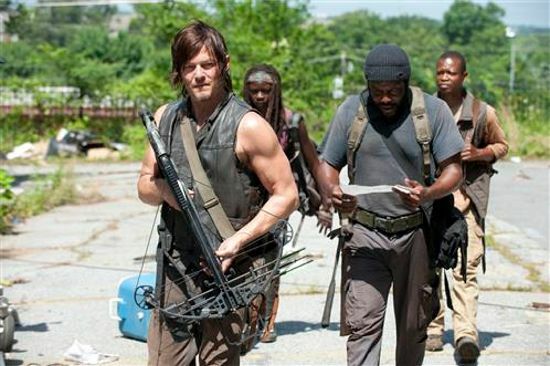 While Daryl, Michonne, Tyreese, and Bob are out looking for their own supplies, they come across a gas station. Finding a car under a bunch of vines, they realize that it needs a new battery to turn on, so they start hacking through the vines to find a door. Tyreese gets so caught up in slashing that he lets a few walkers out before they are prepared to deal with them. While they dispatch their attackers, the group is left to worry about Tyreese’s mental state. Bob reveals his guilt for the death of Zach at the superstore because of his desire for a drink but Daryl quickly dismisses it an lets him know he has support. The group finally finds the supply of medicine, but Bob ends up revealing that he only came on the trip to find booze. Daryl takes his gun and makes him feel guilty for putting them in danger over alcohol. On the drive back, there is a somberness that is envelops the van on the ride back. Reaction: Tyreese is a crazy person. While he was still reeling from the loss of Karen, he was becoming more and more of a threat to the people around him. In the previous episode, he let himself get overrun by walkers before he chose to fight his way out. At the gas station, he let it happen again to where he had a walker hovering over him before he let Bob shoot it in the head. While he accused Michonne of being obsessed over the Governor, he still refused to acknowledge what he was doing by ignoring his peers. He seemed to be in a better state by the end when he tried to get Daryl away from Bob, but he definitely in not done with the loss of Karen and the flu threatening his sister. Rick seemed to be unable to acknowledge what Carol did until she forced it on him and he still felt unable to really react. Instead, he focused on trying to remind her of her humanity through bringing up Sophia. 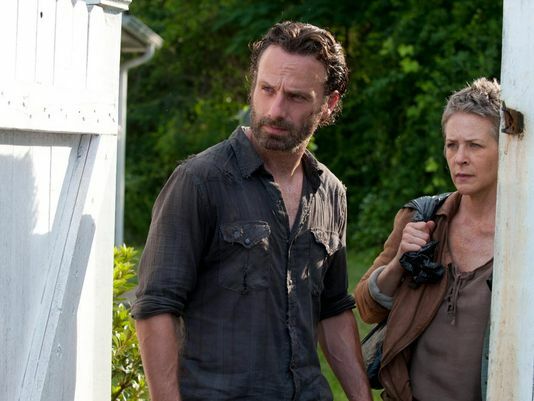 It appeared that Rick wanted to move past Carol’s decisions and try to ensure her ability to push on. He is also still struggling with his humanity, unable to pull the trigger and wanting to believe the best in people. While he was right to trust the other two survivors, he probably should not have let them go off on their own, especially separated. While Bob’s story was very straightforward, Carol’s banishment was anything but. Carol was cold through all of her conversations with Rick during the episode. She was showing no remorse over having to make the tough decision. While she may not have been wrong, there is too much tension in the prison and Tyreese is too much of a loose cannon. There is no telling how the prison will react to learning about Carol’s actions and her banishment if Rick chooses to tell them the truth. It may be possible that she is safer to be sent away rather than deal with the wrath of Tyreese. With Carol now sent away, the prison seems to be in much more danger. Carol’s ability to be a leader seems to be stronger than Rick’s and he is still questioning himself too much. It took him the entire trip of feeling her out to come to the decision to send her away. He was hesitant the entire time and had his hand on his gun while they were waiting in the house for Sam. Carol may have been able to wait to see if Karen was truly going to die, but she was not unjustified for what she did, especially after Patrick turned and tore up the prison. In Memoriam: Ana, many walkers, Carol? Additionally, The Talking Dead was much better this week, as Chris Jericho was a much more coherent guest than Marilyn Manson. Much much more coherent.